Due to a lingering illness that's trying it's best to end me, I've been working from home a lot lately. It's funny how much the drone of cubicle noise can irritate me in the office, but several days of silence is almost as bad. To combat the wheezing drone of my own congested breathing, I've taken to turning the television to innocuous programming to provide some background noise as I work. The goal here isn't entertainment, it's distraction -- just enough to keep my subconscious happily preoccupied so the rest of my brain can focus on the task at hand. The programming that works best for this? National Geographic,The History Channel, and PBS. Interesting and educational. These can play in the background happily all day, and I rarely pay them much thought until I'm ready to close up shop for the day. One program did manage to penetrate my medicine and work induced fog, though, and that program was the 2009 H2 documentary, "The Real Wolfman." 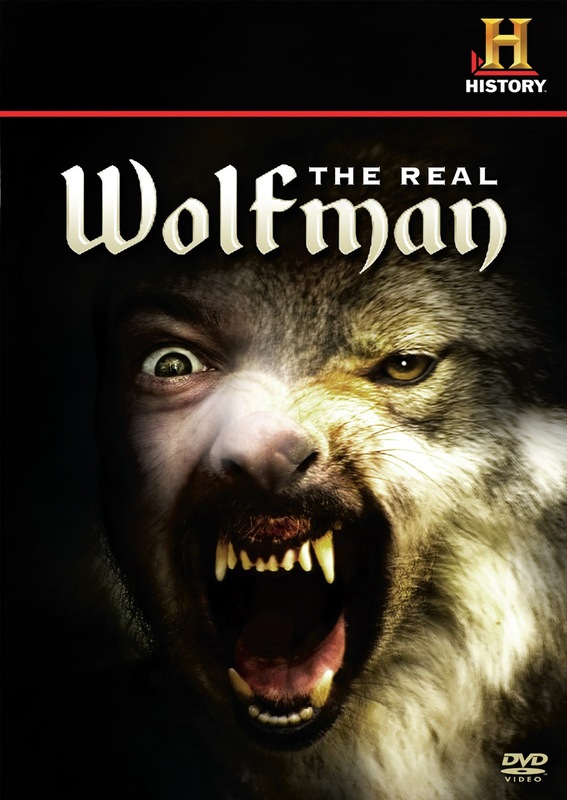 The program summary says, "Stories of a wolfman who was said to terrorize the French town of Gevaudan in the 18th century are explored by criminologist George Deuchar and cryptozoologist Ken Gerhardt, using modern forensics." It is an interesting program that fully articulates the history of the events, researching all possible explanations for the attacks, using modern forensics and knowledge to dissect eye-witness testimony taken at the time of the attacks. Pairing a criminologist and a cryptozoologist for the investigation is an inspired idea, because their two extremely different viewpoints ensure no theory is accepted or rejected too quickly. And oh, how the theories range. Rabid wolves, human serial killers in wolf hide clothing, prehistoric cave jackals, actual werewolves...all explanations are considered more or less seriously. The criminologist argues for a human perpetrator, the cryptozoologist argues a beast is likely behind the attacks. And, while I pride myself on being a logical, reasoned, well-educated woman, I can't lie...I was rooting for the cryptozoologist. My interest in cryptozoology, the paranormal, and the supernatural is difficult to explain. I am a rational person, sometimes to a fault. I am a realist. I like things I can see, touch, hear, taste, and smell. I'm not particularly religious and enter situations with a good deal of skepticism. That's why I like my fiction (books, tv, movies) to be be so fantastic in nature; I want the escape fantasy, science fiction, and speculative fiction offers. So, why pull for the cryptozoologist? It isn't that I believe in werewolves or any mythical, fantastic creature; it's that I *want* to believe. Although the sensible part of my brain enjoys being grounded in the facts of day-to-day reality, I think it would be a great shame if there was nothing in this world that transcended our five human senses and modern scientific explanation. So, while I know the wolfman attacks have a logical, scientific explanation, I can't help but hold out hope there's something supernatural at play. In the end (*spoiler alert*), the criminologist and cryptozologist are both right. They decide the culprit of the wolfman attacks is a combination of man and beast; the man who claimed credit for killing the beast had trained a jackal to attack humans. So, chalk another tally point up for logic and reasoning. But you have to admit, discovering evidence of a werewolf, no matter how ridiculous and implausible, would have been kinda cool.